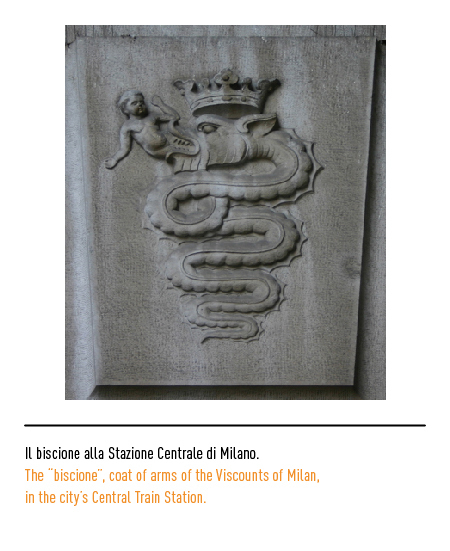 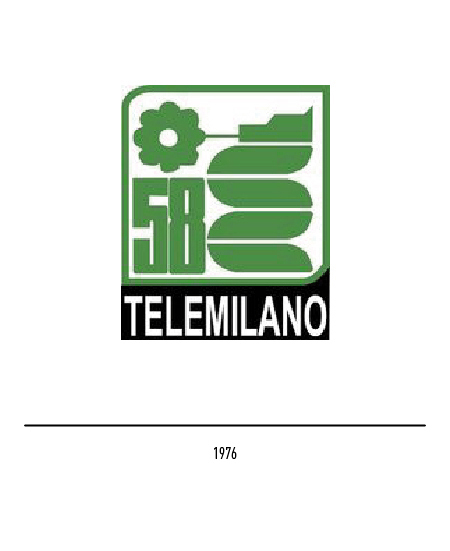 Mediaset /The broadcasting network established by Silvio Berlusconi in Milan ,Canale 5, started to shape up in 1976, when the network Telemilano 58 decided to implement the grass snake holding the flower in his mouth in the logo ( symbol derived from the logo of Milano 2 combined to the Visconti emblem, drawn by Enzo Manzilli). 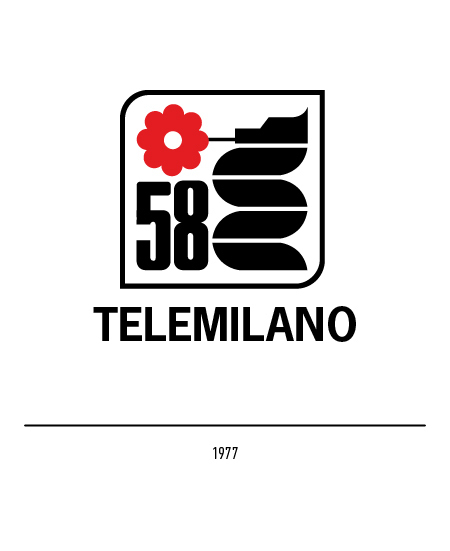 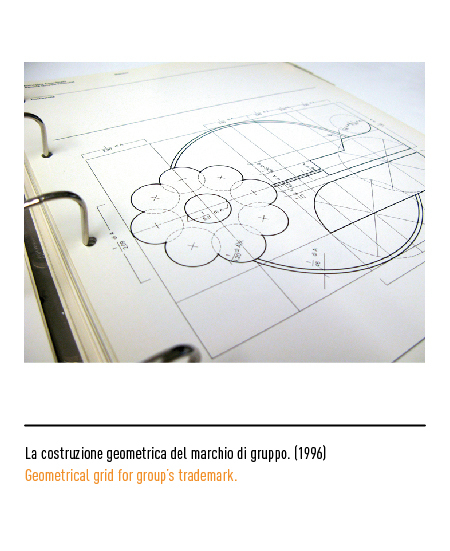 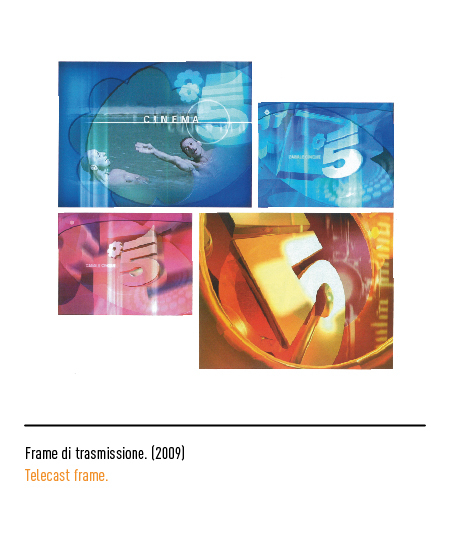 The logo was featured inside a frame with alternatively squared and rounded angles; the grass snake body is built on a wave composed by four segments, whilst the head is a flower with eight petals and the name "Telemilano 58" (UHF channel the network used to broadcast). 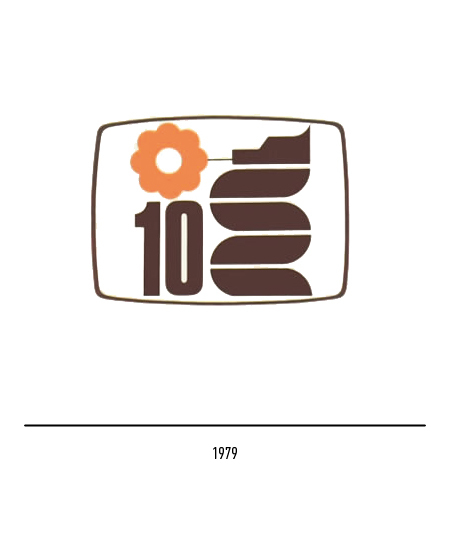 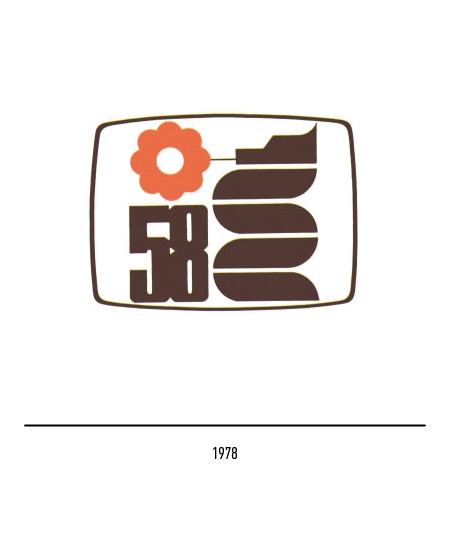 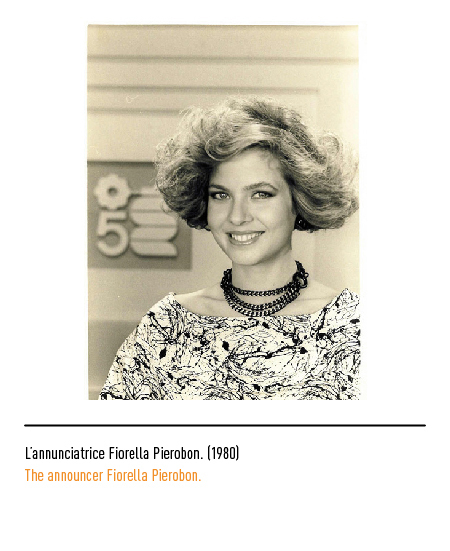 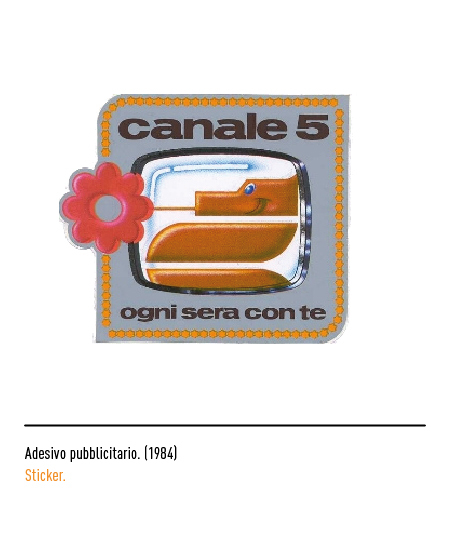 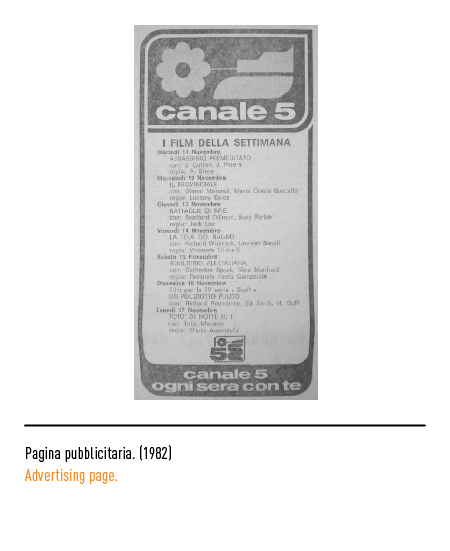 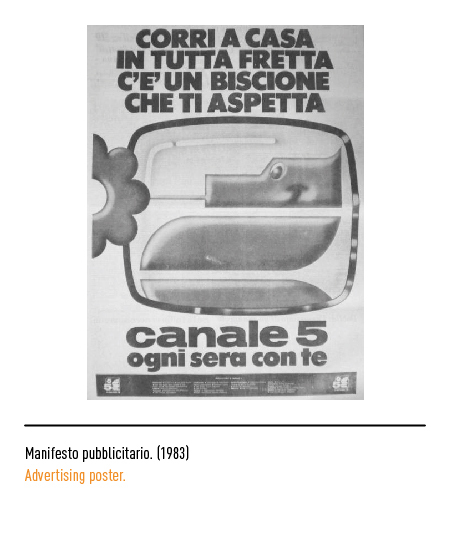 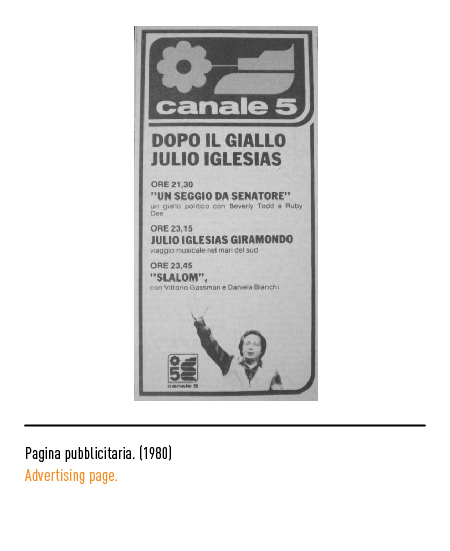 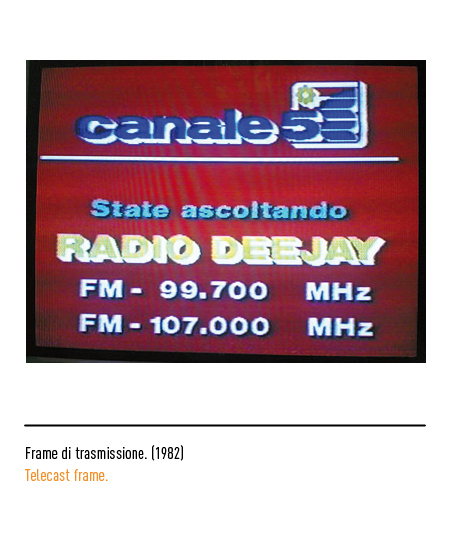 In 1979 the name shortly changes to "Canale 10", to become "Canale 5" in 1980, as result of the merging of the five biggest networks in the north at the time: Telemilano 58, TeleEmiliaRomagna, Teletorino, VideoVeneto and A&G Television. 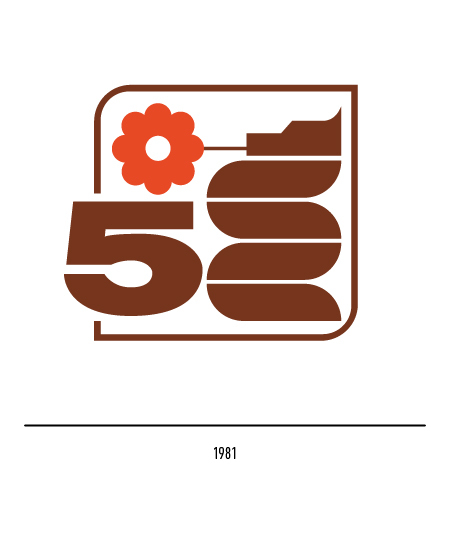 The old logo is mostly kept, with the only exception of the number five which was now visible and the change of the colour to brown. 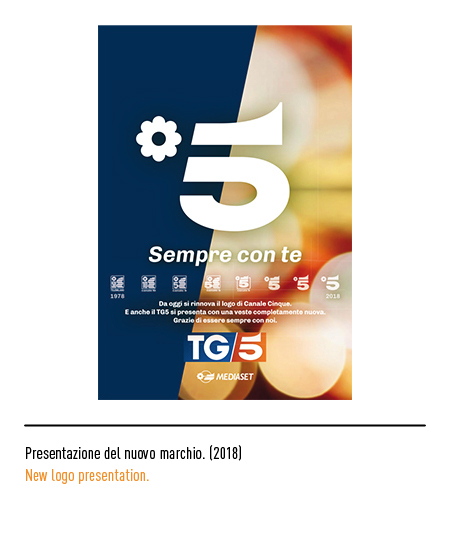 Due to a small technical mistake, the number five acquired more importance in the composition, becoming bolder and overlapping the sides of the logo; it is said, that during the first publishing of the first palimpsest (operation directly controlled by Silvio Berlusconi), an operator had enlarged the number five and had wrongly positioned it on the base. 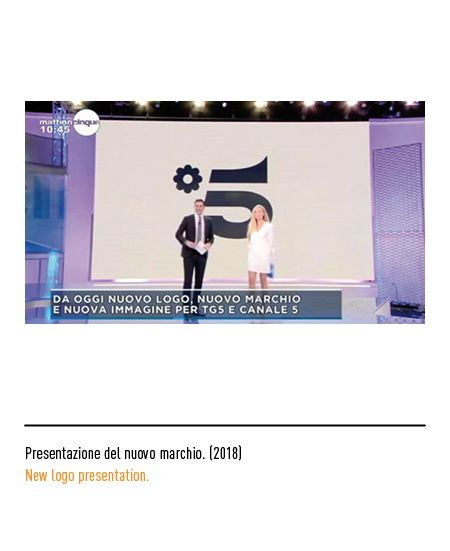 Berlusconi was very pleased with the effect and he decided to modify the logo and also the font: from Helvtica to Venus extra bold. 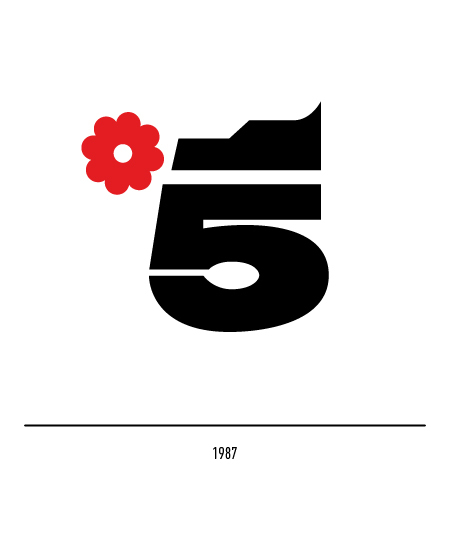 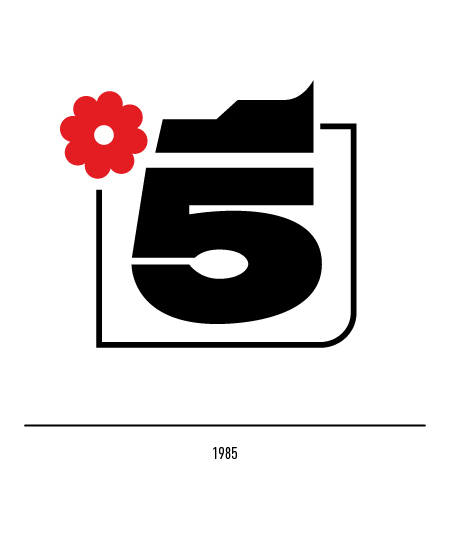 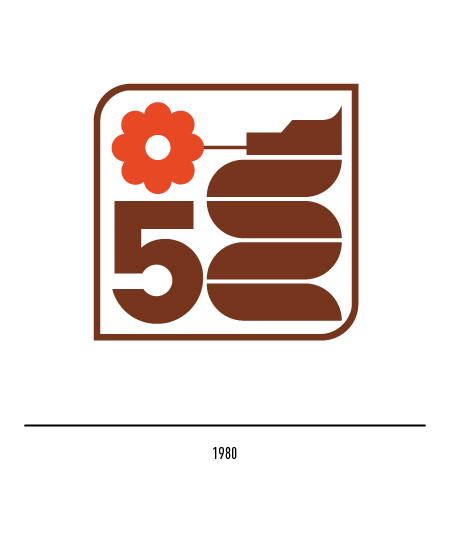 In 1985 another restyling takes place, this time to lighten up the logo: more importance is given to the number five, which now becomes the tail of the grass snake; also the lines are simplified and the stem of the flower is omitted for the first time since the network was born. 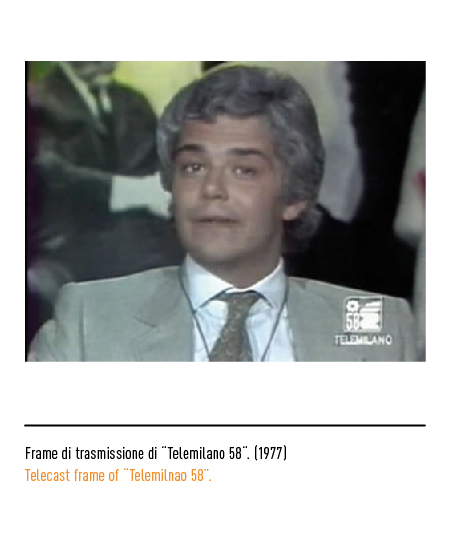 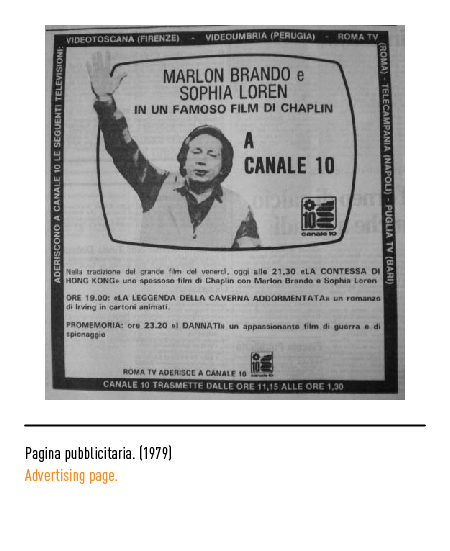 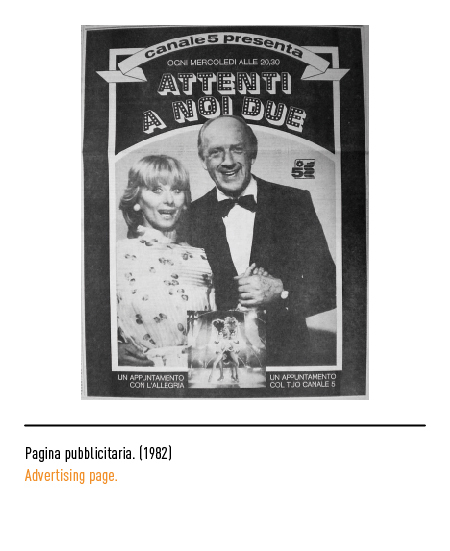 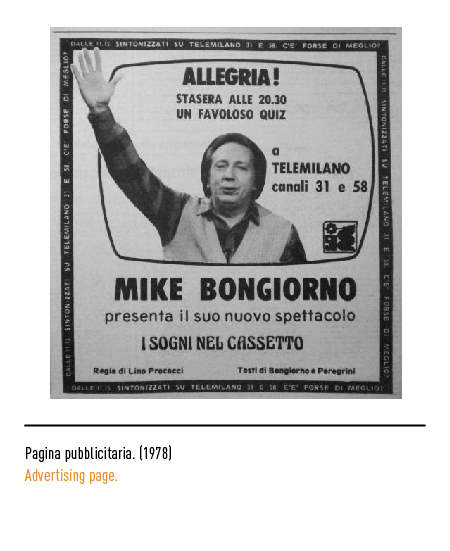 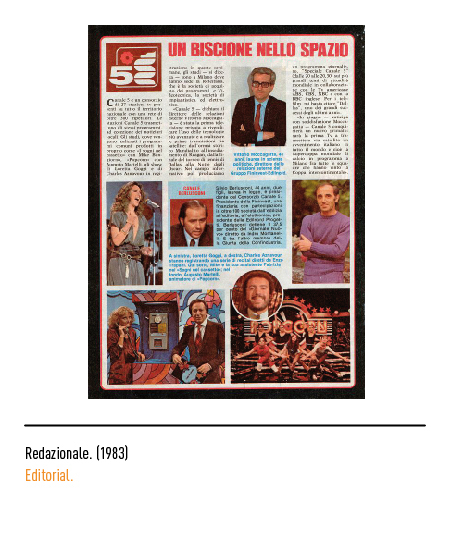 In 1987, one more restyling takes away the frame. 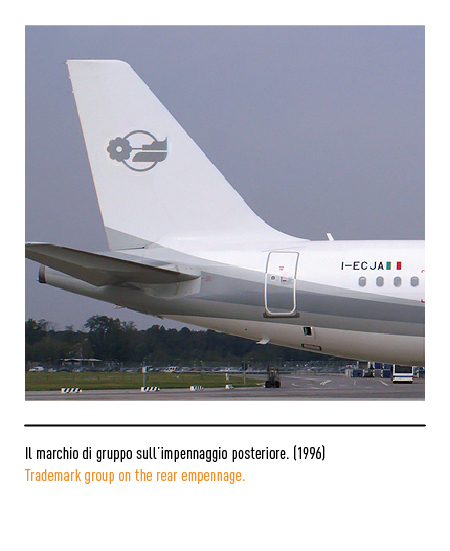 In 1996 Silvio Berlusconi requested a new logo to feature on the planes he had just acquired; the choice fell on Mirko Pajé: the logo was a stylized grass snake wrapped around a sphere representing the Earth. 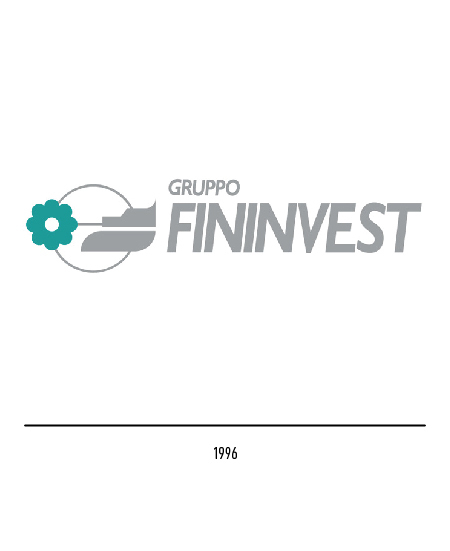 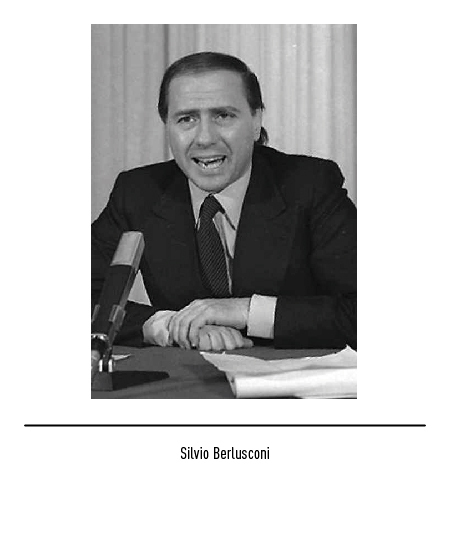 Berlusconi was so impressed with the proposal that he made it the logo for the entire Fininvest Corporation. 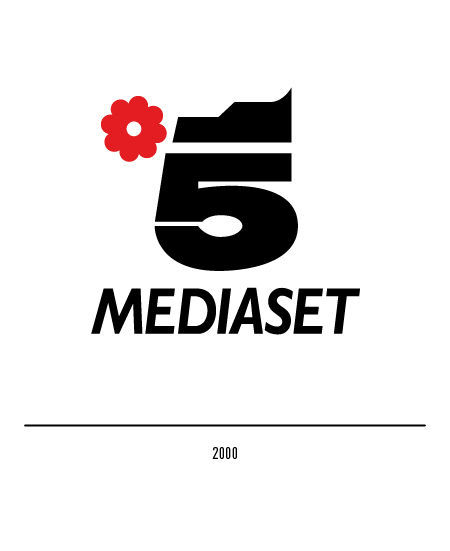 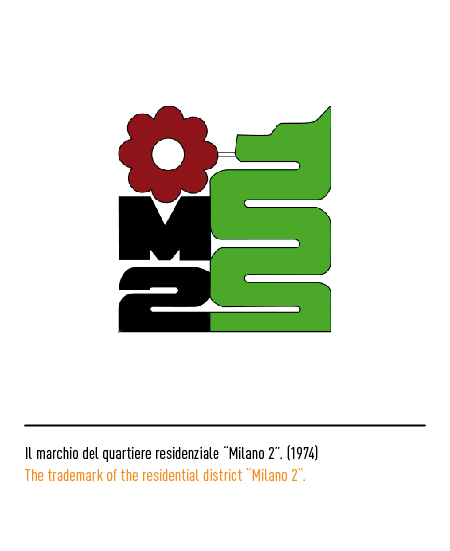 In 2000, during the celebration of the twentieth year of broadcasting, a new restyling takes place: the logo features now also the name "Mediaset", typed with a Gill font in capital letters. 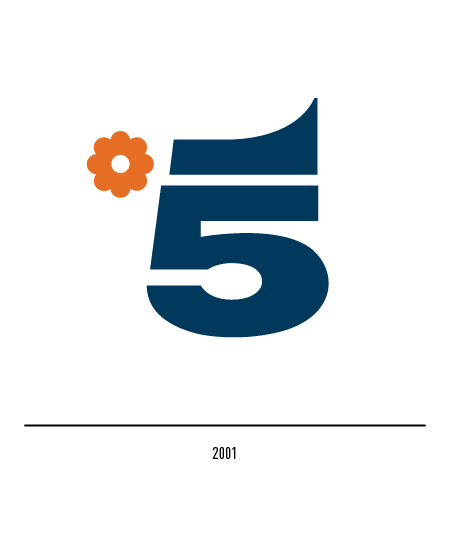 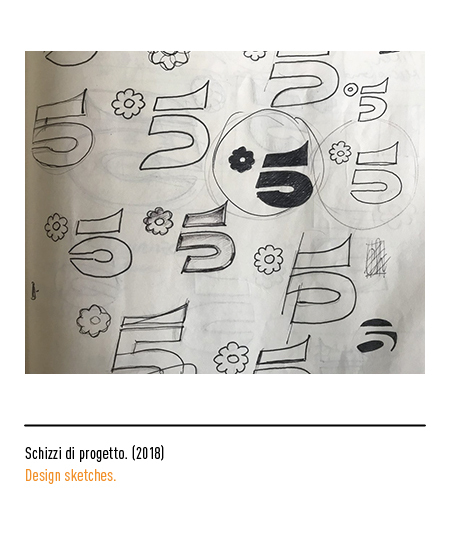 In 2001 the logo is further restyled by Massimo Pitis; the operation is mainly focused on the streamlining of the number five, which loses some thickness. 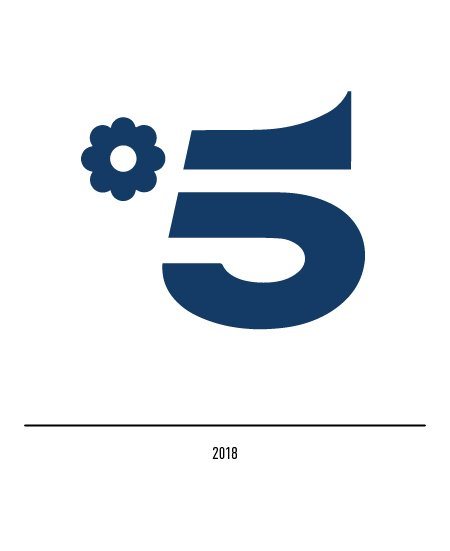 Also the head of the grass snake becomes gentler, and it loses two of the lines which mark the upper side, substituted by a curved and continuous segment; the flower becomes smaller, and also the colour changes, from black and red to dark blue and orange. 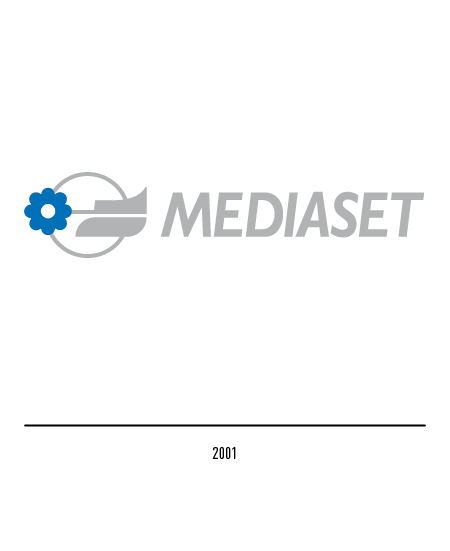 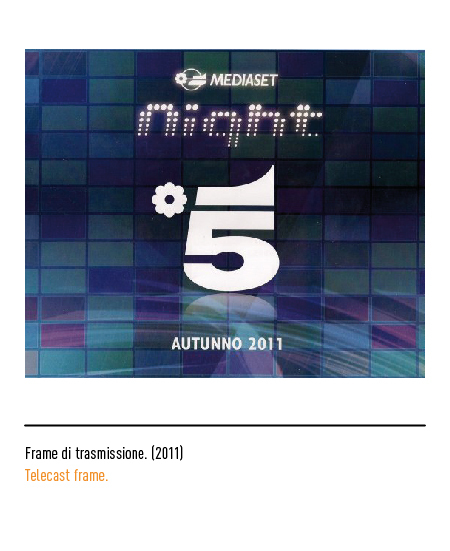 In the same year, also the logo of the Mediaset group undergoes an important restyling.